What is a family to do when a loved one has an active addiction to alcohol or drugs? That is the challenge faced by scores of parents, siblings and children each day in this country. The numbers are staggering. With as many as 26 million Americans suffering from a substance abuse disorder, it is entirely possible that 100 million family members wake each morning with a sense of anxiety and dread as to what their day will bring. These are the parents who don’t know where their son or daughter is and live in fear of getting a gut wrenching phone call regarding their child’s fate. These are wives or husbands concerned for a spouse who is unable to function from day to day. These are people who love someone and feel helpless, living a life full of tension, insecurity and all too often embarrassment, guilt and shame. This is the reality of too many Fairfield County families. Chances are you may be one of them. This dilemma—this feeling of helplessness affects everyone, from those unfamiliar with addiction to those who are. That’s because of the addict’s ability to remain disconnected from their disease. The more they say “stop worrying, I’m fine,” the more desperate loved ones become, and who can blame them? We protect our loved ones, don’t we? A member of our Senior Team tells the story of how he and his wife, both trained therapists specializing in addiction and family dynamics, spent hours upon hours scheming and strategizing on how to stop their teenager from falling through the rabbit hole of addiction. As each new idea failed, they became more and more frantic. Surely, they could figure out the “right” answer. The interventions grew more and more bold, culminating with placement in a long term inpatient program that only lasted two days and ended with a wild hitchhiking flight across several states. They came to a startling revelation. Perhaps, just perhaps, this wasn’t a battle won with force. Maybe the answer lay somewhere else. Keep in mind that it is unlikely that you will change your loved ones behaviors. While not impossible, change typically starts from within. However you are the master of your own thoughts, behaviors and attitudes. In essence, the one person in the entire family that you can have an immediate influence on is you. It may sound trite but it’s actually a very powerful concept. You can, and will need to adjust your behaviors and responses to the actions of your loved ones. As you begin to heal and grow, it will have a powerful effect on your family. Listening to your loved one and keeping open lines of communication works wonders over time. Instead of attempting to “control” or “manage” your loved one, keep talking with them and be available for when they are open to change. Sometimes, that may mean that you get your own counseling to ensure that you have support and that you can develop the skills and focus to keep the conversation going. Reflective listening is a communication strategy with two key steps. It starts with seeking to understand someone else’s thinking, ideas and feelings by patiently listening without the need for questioning. The next step is to offer those ideas, thoughts and feelings back to confirm that you understood correctly. This may sound “soft and cuddly” but it works because people value being heard and understood. The simple act of offering your understanding builds trust and opens opportunity for meaningful discussions in a non-threating manner. You can think of this as being on the same side or team rather than opposing or trying to fix a problem. When the lines of communications are open the person with the drug problem will begin to verbalize more freely their concerns, challenges and need for support. Even though it’s hard for them to say, no addict is happy with the state of their life. But it’s hard for anyone to admit that, let alone a loved one. By being available to them, your loved one can begin the process of articulating how their lives can be different – they begin to fashion their own solutions rather than rebel against your ideas – this is the beginning of lasting recovery. 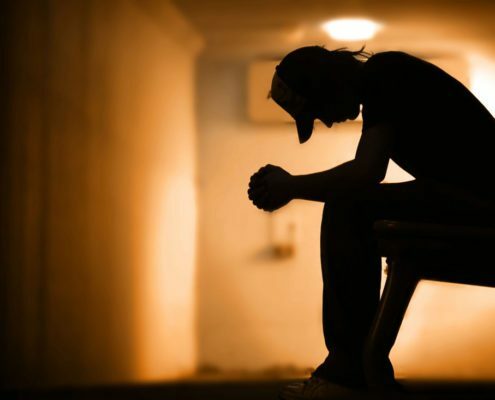 Here are a few popular strategies that people try when a loved one is abusing substances that are NOT recommended: (1) going on seek and destroy missions in the house for drugs and alcohol, (2) re-litigating the past harms and arguing with them especially when they are under the influence, (3) threating to disown them or refusing to speak with them, (4) counting their drinks and how much drugs they have consumed then reporting back to them in real time, (5) telling them about their “character” defects and (6) insisting that you know what’s best for them or their treatment. Generally these strategies only add fuel to the fire, cause you greater frustration and disappointment and shut down any meaningful communications that can help change their perspective on accepting help. Changing behaviors is hard work and most humans would rather continue engaging in familiar failed activities than practice new behaviors even when they are clearly needed. 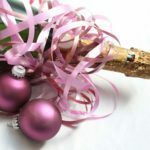 Think about it this way – we’ve all known friends who stayed in employment situations they clearly disliked or stayed in relationships that no longer brought them joy all because it is far less risky to “stick with the devil you know.” Trying new behaviors requires practice and confidence to achieve competency and success. 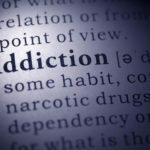 Regretfully most of us fail to recognize that the addict is trying to change and often lacks the confidence that can sustain new, foreign behaviors, let alone master them. When the lines of communication are open, when you’ve taken care of your self, when you are listening, you can encourage, gently nudge and ultimately provide the critical help your loved one needs to change. Alan J. Mathis is the president and CEO of Liberation Programs, a behavioral health organization serving over 2,000 people a year throughout Fairfield County who are struggling with substance abuse and addiction problems. Cary Ostrow is the Chief Administrative Office at Liberation Programs and a licensed Marriage and Family Therapist.